A cascade of TUPE cases, notably and centrally upon the service provision change, and the subsequent enactment of the Collective Redundancies and the Transfer of Undertakings (Protection of Employment) (Amendment) Regulations 2014 by the UK Government, have made necessary this fourth edition of TUPE: Law & Practice. The new 2014 Amendment Regulations, in force from 31 January 2014, are intended to clarify the issues raised by recent cases and also to reduce the burdens on employers of small enterprises. 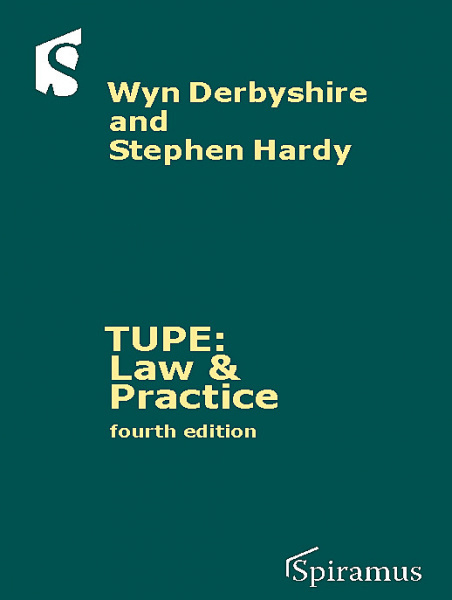 Lawyers, politicians and policymakers, HR practitioners, as well as academics, will find this book brings them up to speed on TUPE. This book aims to keep pace with these changes, providing practical advice and cutting edge analysis. 1.1. TUPE or not TUPE? 4.9. Insolvency and TUPE Working Together? 5.1. What is service provision change (aka ‘out-sourcing’)?